George Dunsford Klein was born on June 14, 1915 in Shreveport, Louisiana. His father, George Jacob Klein, was born in 1883 in Missouri of German ancestry. His mother, Matilda Lenore Dunsford, was born in 1890 in St. Louis, MO, of English ancestry. His parents married in 1911 and had two children, Edna Lenore Klein (b.1913), and George Dunsford Klein (b.1915). The father was a clerk for the Frisco Railroad, which operated between St. Louis and San Francisco, California. His work for the railroad took him to a variety of locations, to each of which the family moved. So the first child was born in Dragon, Utah, and the second was born in Shreveport, Louisiana. By 1920 the Klein family had moved to Cheyenne, Wyoming, where they lived at 600 East 11th Street. By 1925 the Klein family moved to 7 Muirhead Street in Quincy, Massachusetts, where the father had been hired to work for the County Traffic Manager. In 1930, at the age of fifteen, George Dunsford Klein began to attend high school in Quincy, MA, where he became interested in a career as an illustrator of the Natural Sciences. Inspired by the artist John James Audubon (1785-1851), he drew detailed studies of trees, animals, and birds. In 1933 his father, George Jacob Klein, died at the age of fifty in Quincy, MA. In June of 1934 George Dunsford Klein graduated from high school in Quincy, MA. 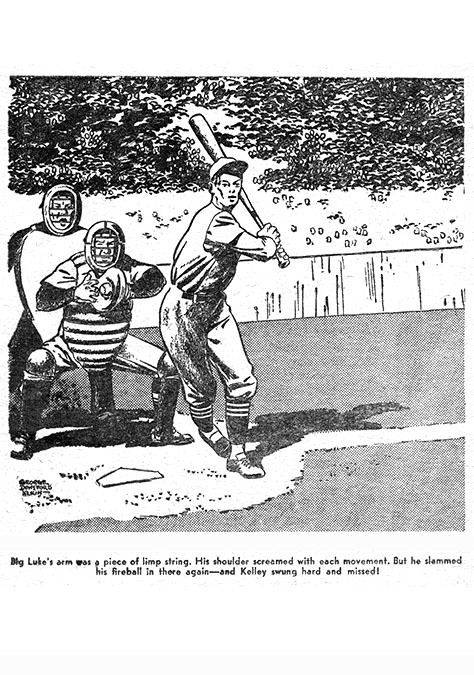 In September 1935 he began to attend the Fenway School of Illustration in Boston. He completed the school's three-year course of studies June of 1938. In 1939 George Dunsford Klein began to contribute pen-and-ink illustrations to Nature Notes - The Magazine of Outdoor Information. 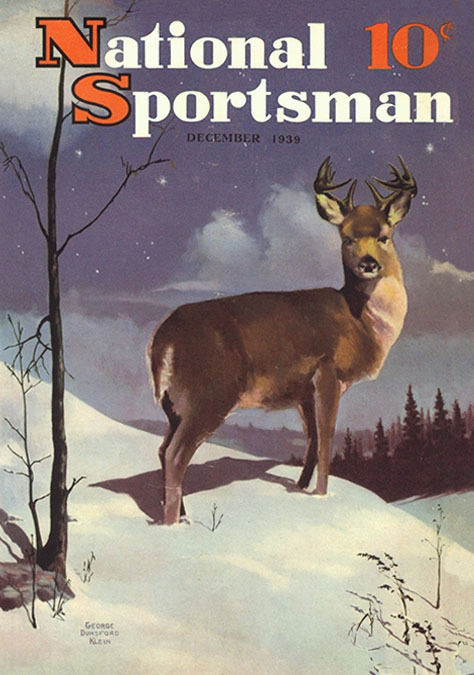 That same year he painted the cover of the December 1939 issue of National Sportsman Magazine. By 1940 the Klein family lived in Norfolk, Massachusetts, at 23 Elton Road. To support the family he earned a steady income as a truck driver at a local textile factory. In 1941 his older sister married and became Mrs. Edna Matthol of Westwood, MA. On April 1, 1940 the Boston Herald reported that George Dunsford Klein was among the local artists included in the 11th Annual Spring Art Exhibition at the Jordan Marsh Department Store. 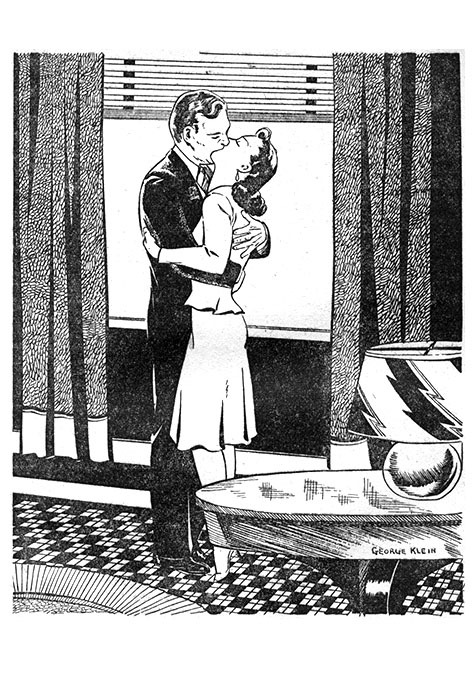 An illustration by George Dunsford Klein appeared in the May 5, 1941 issue of Nature Notes - The Magazine of Outdoor Information. 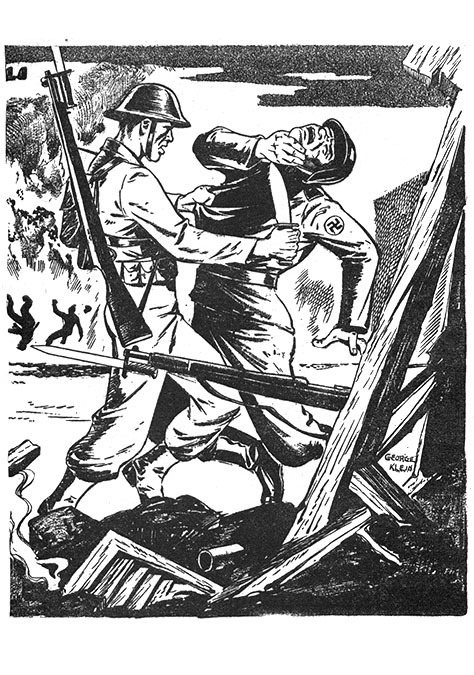 In 1941 he began to draw pen-and-ink story illustrations for pulp magazines. 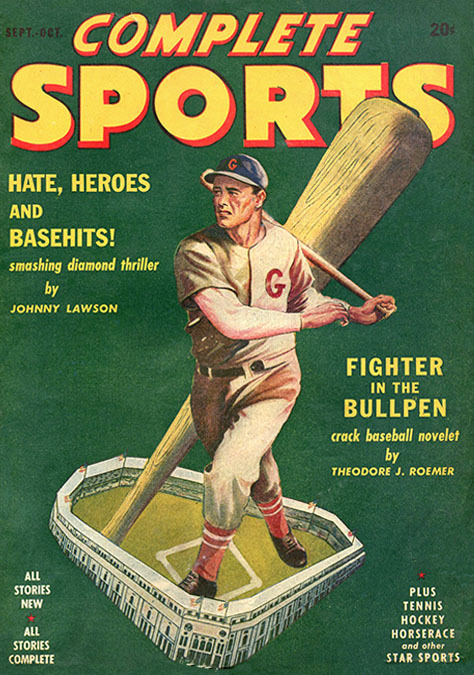 His work appeared in Complete War, Detective Short Stories, and Complete Sports, all of which were produced by Martin Goodman in New York City. In 1942 George Dunsford Klein created story illustrations and cover paintings for Wyoming Wild Life, a magazine produced by the Wyoming Department of Game and Fish. 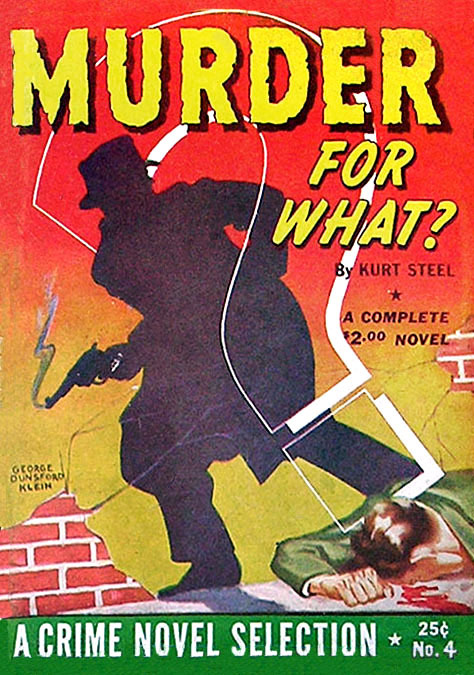 In 1943 Martin Goodman produced two series of mystery paperbacks, Best Detective Novel of the Month, and Crime Novel Selection of the Month, both of which featured covers painted by George Dunsford Klein. On July 16, 1943, during WWII, George Dunsford Klein was drafted and served as a private in the Army Infantry. After his entry into military service his widowed mother, age fifty-three, moved in with her daughter's family in Westwood, MA. 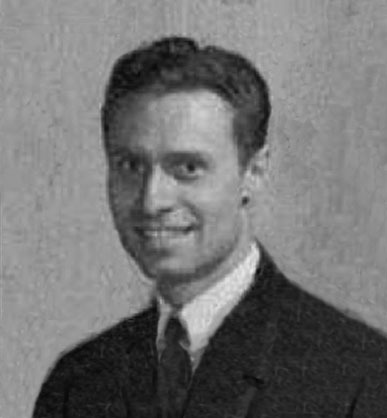 George Dunsford Klein was honorably discharged in 1946, after which he returned to Boston and resumed his art career. 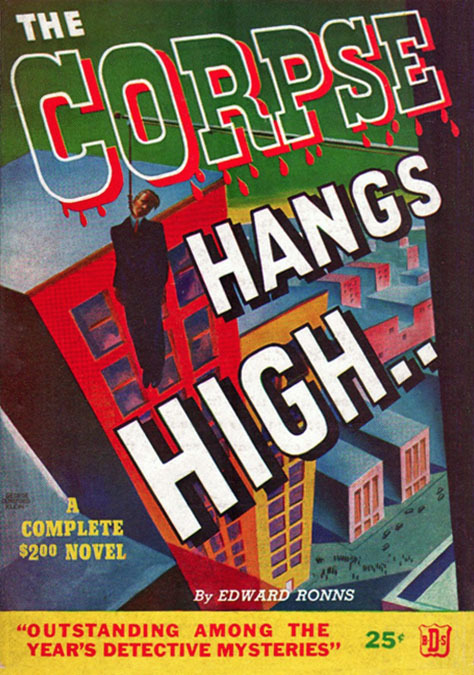 His story illustrations appeared in pulp magazines produced by Martin Goodman. 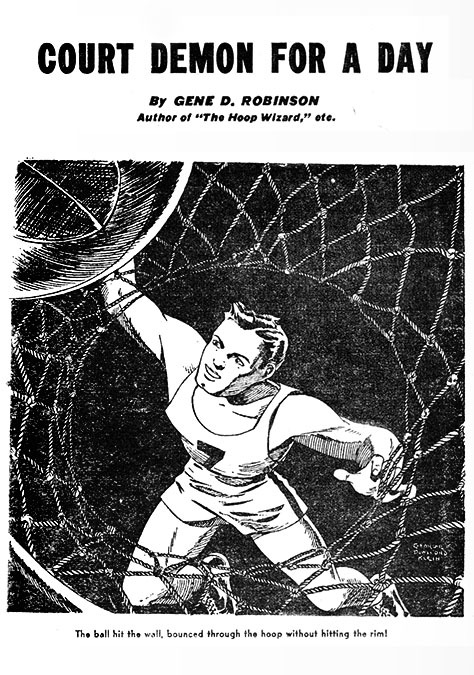 Other pen-and-ink artists who worked for the same publisher as that time included Stan Drake, Chester Bloom, Ed Ashe, Don Rico (1918-1985), Frank Giacoia (1925-1989), Phil Berube (1913-1989), and Charles J. Mazoujian (1917-2011). 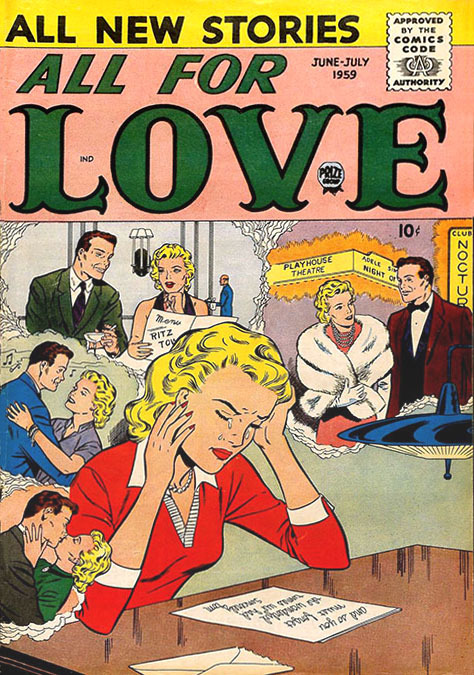 The cover artists included Norman Saunders, Allen Anderson, and Matt Kauten. 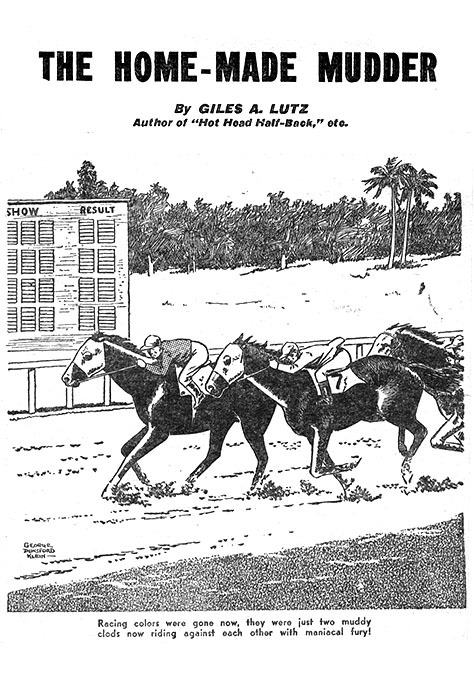 During the 1950s George Dunsford Klein regularly contributed illustrations to Wyoming Wildlife Magazine. 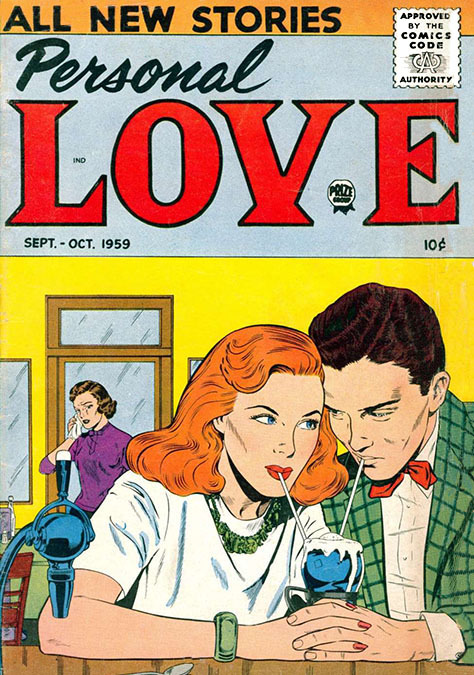 He also drew romance comic books for Prize Comics, Harvey Comics, Headline Publications, and the American Comics Group. He became a staff artist at DC Comics, where his specialty was inking the drawings of other artists, such as Jack Kirby, Gene Colan, John Buscema, and Curt Swan. Throughout his career he lived in Boston, near his mother and sister's growing family in Westwood, MA. Along with his full-time job as an inker of comic books, George Dunsford Klein also continued to paint landscapes and wildlife. In 1959 he illustrated the medical textbook, "Manual of Bandaging, Strapping, and Splinting" by Augustus Thorndike from Lea & Febiger Publishing Company. In 1965 George Dunsford Klein left Massachusetts and moved to an apartment in New York City at 425 East 86th Street in the Yorkville section of the Upper East Side, which was a traditionally German community. 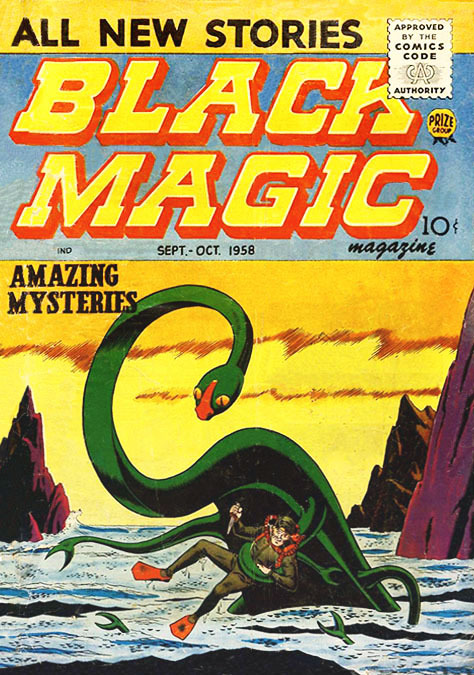 The May 1968 issue of Adventure Comics #367 contains the final work by George Dunsford Klein for DC Comics, after which he went over to Marvel Comics, where he spent his final year of activity inking Jack Kirby (Thor), Gene Colan (Daredevil), and John Buscema (The Avengers). In 1968 he contributed illustrations to "Mammals of the World" by Ernest Walker from Johns Hopkins Press. In November of 1968 he married Patricia Perreira. She was born in 1937 and lived in Fall River, MA, where she worked as a receptionist at the Loring Photography Studios. In April of 1969 he entered St. Vincent's Hospital in Greenwich Village, where he was treated for cirrhosis of the liver. George Dunsford Klein died at the age of fifty-four at St. Vincent's Hospital in NYC on May 10, 1969. His funeral notice suggested, "In lieu of flowers, donations may be made to the National Wild Life Society."